Dr. McElfresh is a licensed clinical psychologist in the state of Pennsylvania. He has been in private practice with Unity Care since 2011 and became owner/director in January 2013. He is an Adjunct Professor of Psychology at Duquesne University and Chatham University. 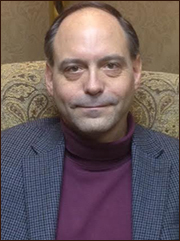 Dr. McElfresh earned his doctorate in Clinical Psychology from Duquesne University in 2010 and completed his Internship for the State of Connecticut Department of Mental Health and Addiction Services in 2008. He has 16 years experience working with individuals aged 4-90 in multiple clinical settings and is comfortable working with various presenting difficulties. Dr. McElfresh has worked in outpatient, inpatient, residential, and forensic settings and continues to operate clinically and as a consultant in these varied settings through Unity Care. He has trained extensively in Jungian and Existential-Phenomenological psychology and utilizes a clinical approach that respects individuality, depth, and perspective. He has trained extensively in Collaborative Assessment and continues to provide outpatient and inpatient psychological assessment. He is also steeped in projective assessment approaches, especially the Rorschach. Dr. McElfresh has extensive experience in forensics, having worked in restoration to competency, community re-entry, and maximum-security NGRI inpatient settings. He has worked and trained extensively in the assessment and psychotherapy of children and adolescents, having worked for 5 years in child/adolescent residential treatment settings and 4 years in juvenile detention. For more information about Dr. McElfresh’s skills, approach, and background, please visit: patrickmcelfreshphd.com. Dr. Brooke is a Board Certified and licensed clinical psychologist. He is board certified with the American Board of Professional Psychology. 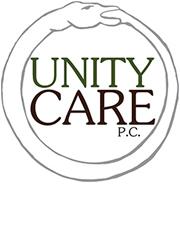 He has been in private practice with Unity Care since 1996. He is Professor of Psychology at Duquesne University. His long standing interests in psychoanalysis and the psychology of Jung have lead to his being an Affiliate Member (honorary) of the Inter-Regional Society of Jungian Analysts, and he is adjunct faculty of the C. G. Jung Institute of Pittsburgh. Dr. Brooke is also steeped in Existential Phenomenology and has contributed to the discipline with various books and articles. His formative professional years were in South Africa in the 1980s, where he was on faculty at Rhodes University, Grahamstown, and worked with the victims of violence on both sides of the political conflict at the time. About his approach: Dr. Brooke is critical of the attempts to reduce the complexities and nuances of psychotherapy to treatment manuals. He is incapable of providing cookie cutter treatments and promises to do his best to avoid cliches. 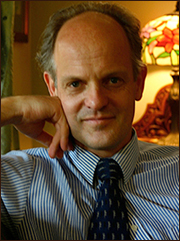 For more detailed information about his approach, accomplishments, and background, visit his Home page: rogerbrookephd.com. Dr. Gettle is a licensed psychologist and a certified mental health counselor with 40 years of experience in various human service and mental health settings. She received her doctorate in Counselor Education with an emphasis on psychotherapy and supervision from the University of Pittsburgh. Dr. Gettle has worked with diverse adult populations. She has provided clinical services including psychotherapy in outpatient and forensic settings, and she has worked in program development, clinical supervision, and professional training. Dr. Gettle has been with Unity Care for 10 years, providing psychological services to inpatient behavioral health units. She presently maintains a private outpatient practice as well. To learn more about Dr. Gettle, please visit: judygettlephd.com. Dr. Fallica has offered psychological services since 1967. He has been in private practice for many years and is also a psychological consultant for Unity Care, P.C., providing psychological treatment and testing to geriatric residents at Pittsburgh nursing homes. For many years, Dr. Fallica was a full-time psychologist at a state mental hospital providing psychological testing and psychotherapy. He has taught Psychology and Substance Abuse graduate and undergraduate courses at local Pittsburgh colleges, universities and nursing schools. Dr. Fallica has provided psychological services to the Social Security Disability office. He was also a psychological consultant to a pre-school nursery program, a shelter for troubled teens, a vocational work program for outpatient psychiatric patients and a two-year technical school. Dr. Fallica has provided seminars to the public and media on psychopharmacology, clinician burnout, and the Gestalt Approach to Personal Growth. He also has volunteered at a local Emergency Room of a general hospital providing psychological crisis intervention treatment to patients that culminated in a presentation of Psychologists in the Emergency Room, sponsored by the Pennsylvania Psychological Association. 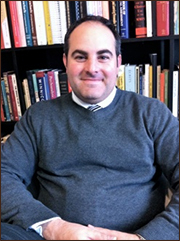 Dr. Fallica’s earned his BA in psychology from Duquesne University, a Masters degree from The New School for Social Research (in New York city), and his doctorate from the University of Pittsburgh. Dr. Kunkle attended Duquesne University where he studied existential-phenomenological psychology and continental philosophy. While pursuing his doctorate degree, he studied the work of Jacques Lacan and Sigmund Freud with an emphasis on the relation between language and psychological symptoms. He earned his doctorate from the University of Detroit Mercy, where he studied psychoanalytic theory in a practice-driven environment. His dissertation concerning father-daughter relationships was influenced by his psychoanalytic and Lacanian studies, with which he remains engaged through the present time. In 1991, while still a graduate student, he joined Unity Care, and has remained with the company through the present time. 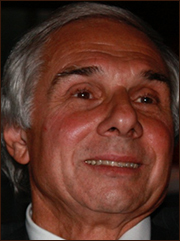 He has conducted psychotherapy and psychological assessment for over 20 years. Interested in joining the Unity Care Team? Find out more information here.